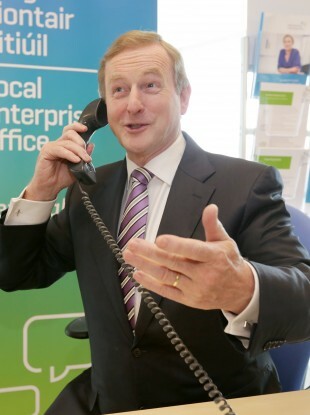 IN THE WAKE of the recent revelations that garda stations recorded incoming and outgoing calls for decades while the Prison Service inadvertently recorded some calls, almost all government departments have confirmed that they do not record calls – nor have they ever done so. The disclosure has been made in a series of answers to parliamentary questions which asked if any telephone calls in or out of departments “are being, or ever have been recorded” and for any details of recording systems. While most departments answered in the negative, the written answers to independent TD Stephen Donnelly this week did disclose that Social Protection Minister Joan Burton’s department does record some calls and stores them for up to three months. Jobs Minister Richard Bruton disclosed that an agency under his department recorded calls for five years up until 2012. While the Department of Justice said that a “random sample of staff telephone calls” to its IT helpdesk are recorded “to ensure quality of service delivery”. The Department of Social Protection said that it does not routinely record calls “with the exception of one sensitive area where callers are advised of the situation”. In these cases calls are recorded and stored in a “secure environment for 90 days” with only a limited number of staff able to access the recordings. This service has cost over €10,000 in 2013 and 2014. The Department also said that calls into the National Contact Centre are recorded and that all callers are informed as such. The recordings are kept as data files on a local server. There is no extra cost as the recording service is part of the telephone system itself. The Department of Jobs said that calls into the call centre of the National Employment Rights Authority offices in Carlow were recorded automatically between 2007 and 2012 but deleted if the operator chose not to save the call. The system cost €21,775 plus VAT in total and the practice was discontinued in 2012 following a system upgrade. Taoiseach Enda Kenny’s department said that there is no recording system in place in Government Buildings, nor has there ever been one. This answer was echoed by the Departments of Finance; Education; Defence; and Health. The Departments of Arts; Communications; Environment; and Children said they do not record calls but do have voicemail systems which callers can avail of if they wish to leave a message. As if to underline the government policy on this issue, Brendan Howlin reassuringly said his department, Public Expenditure and Reform, is not currently considering implementing such a system of recording calls. The Department of Foreign Affairs said it does not record incoming or outgoing calls but did point out that the Passport Office records calls for quality and training purposes. The system used is provided by Cisco Call Manager and cost around €13,500 to install. The Department of Transport said that the Irish Coast Guard is the only area of Leo Varadkar’s department which does record calls. All radio and telephone calls at the three Marine Rescue Coordination Centres in Dublin, Malin and Valentia are recorded “in accordance with a long standing practice”. Email “Government: No, we don't record incoming and outgoing phone calls - and we never have*”. Feedback on “Government: No, we don't record incoming and outgoing phone calls - and we never have*”.